Welcome back manly men of manly oils – and also a shout to the lovely ladies of oil that also read these posts (I may have got in a little trouble recently). It is time for another fun post today based on how essential oils smell – from a male perspective of course. You see I was doing some critical and life changing research the other day for this site and I kept asking my beautiful wife about the aromas of the oils, how they smelled and what they worked well with and she questioned ever so delicately how I can write about oils if I don’t know how they smell. My response was that I smell so many oils in a week that it is hard to keep up… Then, on that very same day we took delivery of a new oil blend we purchased that really did not smell great. Annnnddd another post idea was hatched! One of the things I do really like about essential oils is that they are different for each person. Some like the aromas of some and others not. Some find them useful for some things and others not. So with that in mind there will be no deep scientific research today – just the aromas as I see them – well, smell them. I may however continue with my usual categorisation of some of them as manly versus unmanly oils. If they are florally, they are unmanly – fact! This doesn’t necessarily mean that the smell is no good, just not manly. 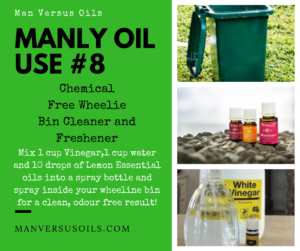 I also haven’t included every essential oil there is… Mainly because we don’t have them but as usual, I will update this post as new oils find their way into the Man Versus Oils household. Lemon – smells like Lemon. Lime – smells like Lime. Grapefruit – smells like Grapefruit. Bergamot – smells like Bergamot – well, I have never actually smelled a real life bergamot fruit but I feel pretty confident that that is what they smell like. 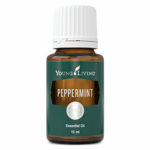 Peppermint – smells like a Peppermint lolly (candy). Citronella – smells just like a citronella candle so I am guessing it smells like you would expect. Clove – don’t get me started – but yes – smells just like clove. 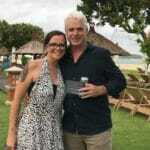 Tea Tree – we used to visit a place when I was a kid that was covered in tea trees – they smelled just like the oil. 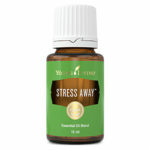 Stressaway (blend) – smells like Vanilla and Lime which is good as that is what it is made of. These oils are close – and the subject of much debate between Nic and myself. But of course I have the final vote so these oils are almost as you would expect, but just a little ‘off’. Rosemary – Sometimes it is close and sometimes not – but in general it smells to me like Rosemary that has been wet and left in a kids school bag for a week. 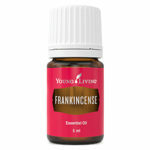 Surprisingly however it smells a lot more like you would expect when it is in the diffuser or warm water. Oregano – Very close again – Nic reckons this one is spot on but to me there is a slight hint of a burnt smell to it – it is nice actually – just burnt. Eucalyptus – As someone who lives in Australia, I am pretty up to date with the smell of Eucalyptus. The essential oil does smell like Eucalyptus, just stronger if that makes sense. I think it must be the distillation process as there is the same underlying ‘oddness’ that Rosemary has. Lavender – Lavender plants have a beautiful gentle scent that sort of just sneaks up on you. Lavender essential oil takes that scent and punches you in the face with it. We do know that essential oils are highly concentrated so I guess that is the reason – it is good – but strong. Lemongrass – Just like Rosemary – it is close, but just a little off. 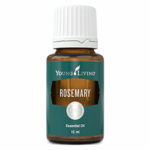 Also, like Rosemary, the lemongrassness does come out when mixed in the diffuser or blend recipe. Ginger – see Rosemary and Lemongrass. 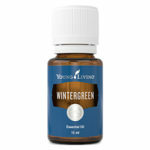 Wintergreen – Smells like Deep Heat sports liniment – I use this one for the same reason and it works a treat. 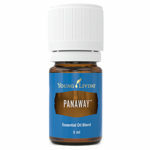 Panaway (blend) – smells like wintergreen – probably because wintergreen is included in the blend. Joy (blend) – probably the most unmanly essential oil known to man – it smells just like a bunch of flowers which is probably why most of us men don’t recognise, or resonate with the aroma. Nic says she can smell the Geranium and Rose. I will take her word for it. Peace and Calming (blend) – smells just like Orange which is good considering there is a lot of citrus in this one. 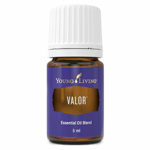 Valor (blend) – I reckon this one smells like Licorice allsorts – It does have Northern Lights Black Spruce as an ingredient which is quite sweet. Grounding (blend) – this one caused great debate in this house – I smell lavender, lavender and more lavender. Nic disagrees. Interestingly there is no lavender in it but I stand by my nostrils here. 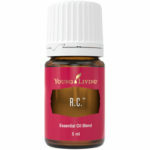 R.C. (blend) – ‘Orangy eucalyptus’ is the best description for this one. Purification (blend) – I always say that this one smells like a hospital but in general just think Citronella. SclarEssence (blend) – this is a strong one but another that I just can’t pick – the peppermint and fennel are definintely detectable. Freedom (blend) – This is the bottle that started it all – This is a new addition to our collection and I was in the car with Nic when we picked it up. She smelled it and loved it. To me, it smells like paint (sorry Young Living). There are 1000 oils in the mix here and something tells me there might just be a few too many. Blue Cypress – From the start, I like this one, but to me it smells like Zinc Cream which reminds me of my childhood on the beach. Works well with Lemon or Lime oils. Envision (blend)- This is another that I am not a fan of – think baby change room after the changing of a nappy and a splash of baby powder. I know that took some imagination on my behalf but I just had to keep smelling it until it came to me. Geranium – I can’t hide from this one – it is the worst smelling oil I have ever come across – Think Asparagus that has gone rotten and you are almost close. I read somewhere that it fosters hope – well I hope I never have to smell it again. Basil – You know that smell of sweet basil in the garden on a warm afternoon? Well this aint it! It must be another strain of basil as this one just smells like funny aniseed. And finally, there are a number of oils we have that I can’t really describe the smell of apart from grouping them. These are the grounding oils and what I am calling the tree or forest oils. They all have that earthy aroma which makes them very good if you are looking for something to add to a calming recipe for your diffuser or blend. They are all quite manly in scent as well and their properties make them good for things such as manly beard blends and aftershaves. Technically most of these also fall into the grounding oils category however I have split them due to their more tree like aroma rather than those listed above. 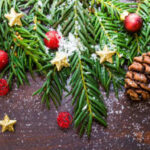 I am a fan of these oils I must say and to me they all smell like variations of pine trees or a strong pine forest in the snow – wow, that was a good one! They are considered manly and often marketed that way, however I do have to have a word to my beautiful wife from time to time as she has taken to putting a couple of drops of the Northern Lights Black Spruce on her wrists before she heads out – I mean, that is MY oil! Shutran (blend) – this one is not a real favourite as it seems to have a bitterness to it – that said, a mate of mine who comes over before we go fishing (who thinks oils are a waste of time) always seeks out and sniffs this one before we go. 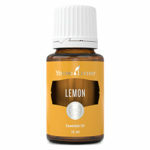 These oils all work extremely well in the diffuser when mixed with a citrus oil – Lemon and Norther Lights is a common diffuser recipe in our house. So there you have it, an extremely scientific, accurate and all encompassing account as to the smells and aromas of some essential oils. As usual, I will update this post as our collection grows or I am exposed to others. Do you have a favourite aroma? Or think that some smell a little different to my account? Please comment below.